Wow, this ringing endorsement makes me want to go pick them up today! Especially since I'm planning to make guacamole. My only reservation is the mention of "heat." I don't really do heat. Maybe the guac will help temper it. It's not really heat (imo) its pepper like. i found them very disappointing. they're fritos with a tiny bit of seasoning. taste nothing like street corn. 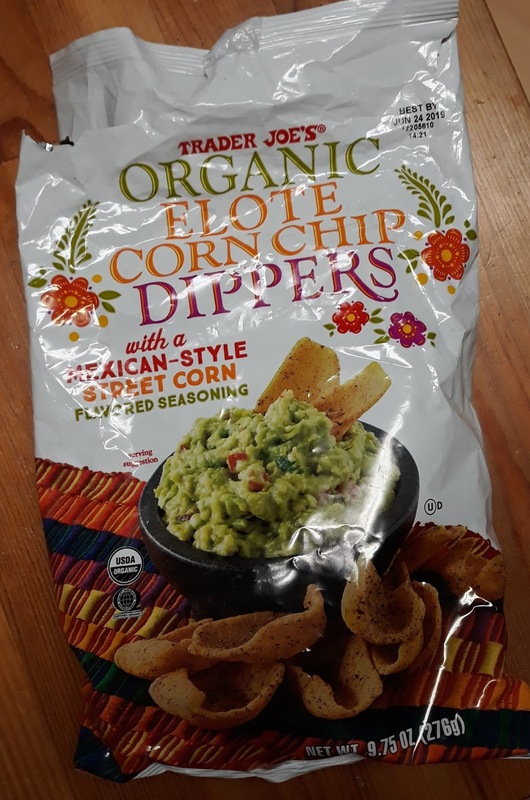 I tried a sample in the store last Friday and LOVED them. Just wish I had gotten more than one bag, it is an hour drive to the nearest Trader Joes. These are phenomenal with some Cowboy Caviar! Really? I was so disappointed in these. They tasted like Cool Ranch Doritos to me. I LOVE elote and had high hopes. Tried these at the sample station- they’re tasty although too much dairy for me to buy a bag. (Ugh) i do love the classic corn dippers! Such great corn flavor. You really haven’t had proper elotes? So easy! Just grill corn, smear on mayo, roll in cotija cheese, and sprinkle with Tajin and cilantro. Good stuff. I live in the land of elotes, and I still love these chips. I'm on my third bag this week. I don't understand how you could compare these to cool ranch dorritos. I work for TJ’s. When we tried them in the break room, I didn’t like them for some reason. 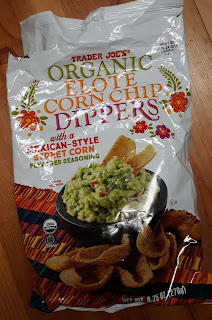 And then we got creative - as we do as TJ’s crew - and heated up some jalapeño pub cheese with a jar of the tomato-less corn and chili salsa - and used the elote corn dippers as our dip delivery method. MY GOD. I think I passed away momentarily, and then came back to life grateful for one more bite. For some reason, after trying that pairing, I’m now addicted to both dipped and un-dipped dippers.